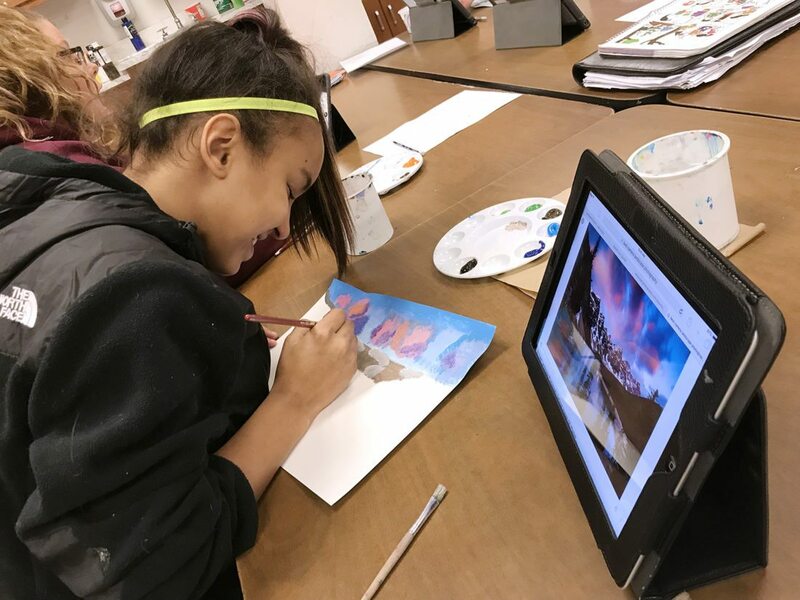 Persell Middle School eighth grader, Amya Guevara, painted her landscape during art class based on a photograph she researched and chose by using her iPad. 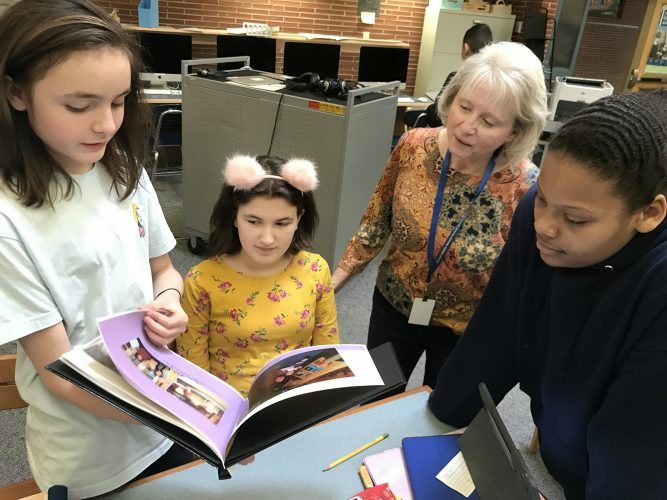 In Michela Tehan’s art class, Persell Middle School eighth-graders recently used their iPads to research and find a landscape photograph to use as their inspiration for a painting. In addition, Mrs. Tehan’s students also take photos of their artwork on a daily basis to show their progress in class. They use these photos for self-reflection and group discussion. 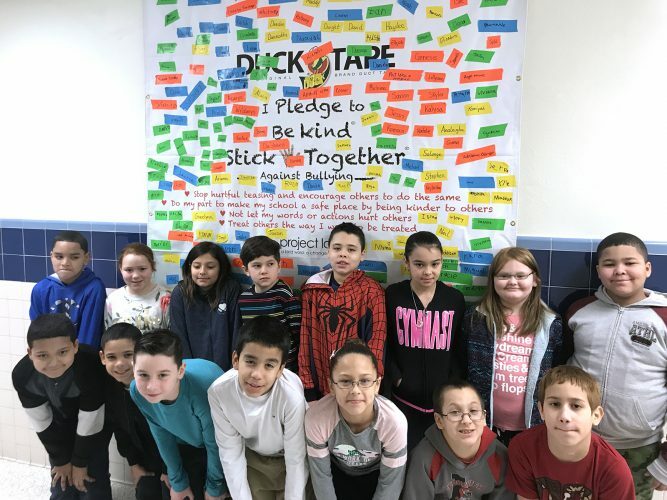 Students can look at their progress and make a daily plan to ensure a successful project that they can be proud of while meeting all the necessary art criteria. These projects are just one of the many ways Persell Middle School teachers are incorporating the student’s iPads in the classroom. 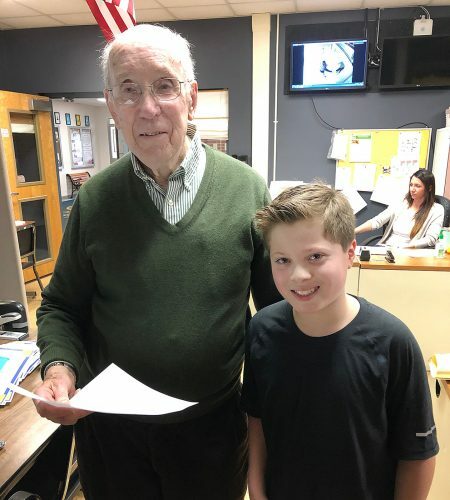 Persell Middle School students, and all JPS middle school students, have been given an iPad to use during the school day and seventh and eighth grade Persell students take their iPads home. The iPads are loaded with general apps that can be used in any curriculum or grade level and all of the apps can be used for creating and showing understanding of their classroom work. Teachers and students are learning how to use technology in an effective way that will help them in their future endeavors. 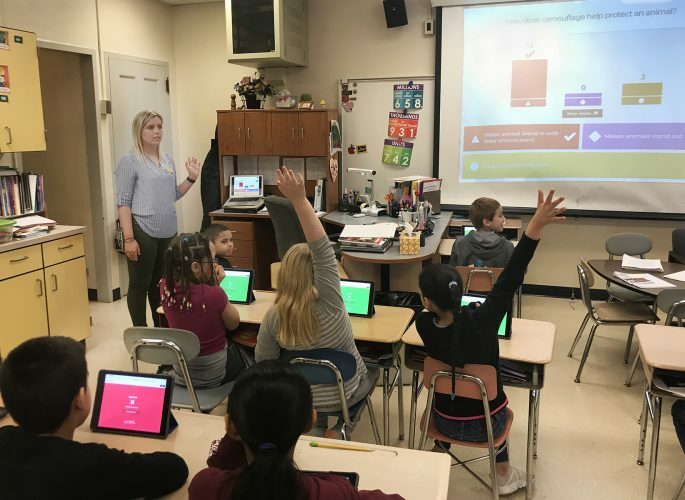 “Persell educators should be congratulated for working so hard to integrate technology into their instruction in meaningful ways,” said Jason Kathman, JPS technology integration specialist. The 1to1 iPads are also a fit in Laura Anderson’s Spanish class. 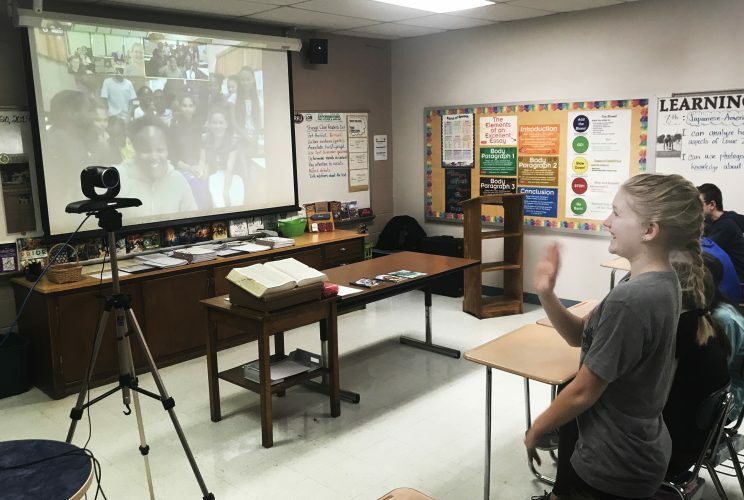 Persell math teacher Jennifer Panebianco created videos for students that help them progress through math skills, which build upon themselves. For example, when her seventh graders solve multi-step equations, students work through a series of problems that they complete independently, and with mastery, before moving on to the next skill. 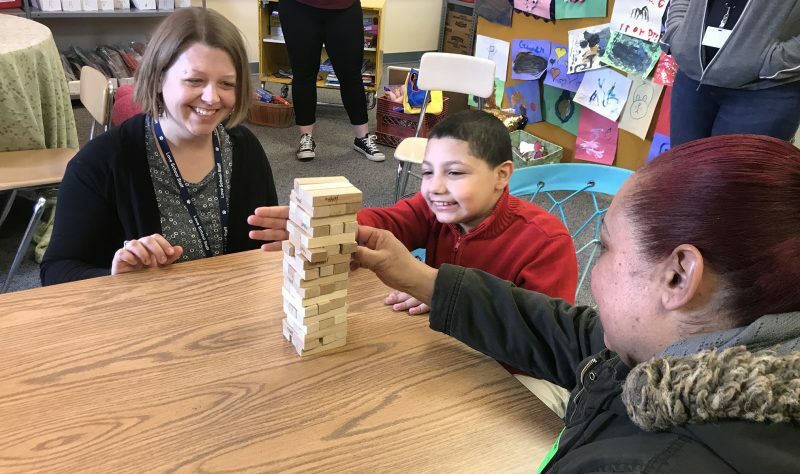 This allows Mrs. Panebianco to work with students struggling with a skill while also allowing other students to continue working at their own pace. Mrs. Panebianco also created extension lessons for students who master the skill before others, giving enrichment opportunities. Other ways Persell teachers are using the iPads in their classroom include: Devyn Agett’s Health class created different health advocacy projects such as PSAs, Annika Putney’s Science class turned their mammal kit into a slide show to record observations and photograph their components, Lauren Scharf’s music classes chose a song, wrote an analysis and shared it on Google Slidedeck and Mindy Trapani’s Science classes used iPads to photograph, research, collect and report data about patterns in local birds/wildlife. Teachers are also using applications like BrainPOP, Quizlet and Kahoot, to “gamify” learning while capturing important data in the process.